Those who enjoyed last night’s “Lincoln and the Gettysburg Moment” will have already heard that our guest speaker won the 2014 Lincoln Prize, jointly sponsored by the Gilder Lehrman Institute and Gettysburg College. a strikingly original, subtly nuanced, and beautifully written examination of when and how the Gettysburg Address was written. It has been suggested that this important speech was written on the back of an envelope on the train to Gettysburg. 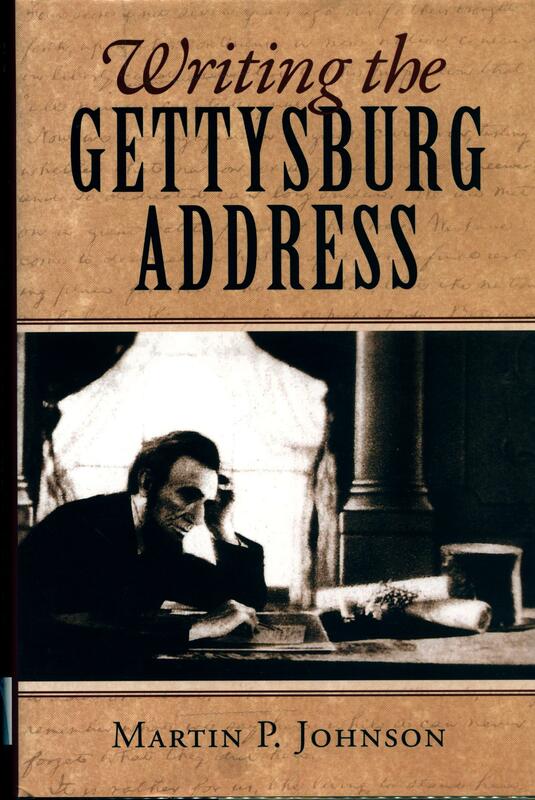 Instead, Johnson proves that the speech was written as part of Lincoln’s emotional and spiritual journey to the Gettysburg battlefield and cemetery, and the book’s greatest strength may be its ability to bring the reader along on this journey. His argument that the Gettysburg Address did not spring fully formed from Lincoln’s head but was the product, in part, of the actual process of writing in Washington and Gettysburg is quite original. Johnson says and does much to clarify how we got the greatest American political speech. Martin shares this year’s $50,000 prize with fellow historian Alan Guelzo, author of “Gettysburg: The Last Invasion” (many will recognize Guelzo as the winner of the 2009 Dolibois History Prize, awarded by the Colligan History Project!). It speaks to the scholarship of both scholars that they were selected from a pool of 114 nominees, representing the cream of Lincoln and Civil War studies. Both winners also receive a lifesize replica bronze bust of Abraham Lincoln, modeled on an original sculpture by Augustus Saint-Gaudens. The prize ceremony this April in New York City also recognizes Steven Spielberg with a unique Special Achievement Award for his Academy Award-winning biopic Lincoln. Please join us at the Colligan Project in congratulating Martin on this outstanding distinction!